The hospice half — 20,000 quid! For the first time in our 32 year history we had to cancel our January Half Marathon because of treacherous snow and ice conditions. Many of our suppliers were incredibly generous in waiving their fees with just 24 hours notice of the cancellation, for which we thank them. Just as significant though were the individual small acts of kindness of our runners who chose to donate their refunds to charity. Particular mention to our headline sponsor Essar, for their continued support for the race that never was — great to rely on them in these changing times. With some swift programming from fabian4 we were able to offer automated refunds for participants (after costs for things like traffic closures, race numbers, chips, etc) …but we also gave our runners the option to donate their entry fees, which they did overwhelmingly by two to one! What all this adds up to is that we were able to make our usual contributions to the community groups that normally help us out on the day and make two very significant donations to our bigger causes — the Hospice of the Good Shepherd in Backford, Chester and Halton Haven, Runcorn — both providing incredible support to people with some serious health problems. Many of us in the club have been touched by the services they offer whether directly to loved ones or further afield to friends, neighbours, etc. So it was that we met in Backford early on Sunday morning, 2 June. The cheque handed over and a lovely reception from the staff there and we set off into the sunshine, stopping off at the club some 8 miles later to pick up a couple more recruits and refresh with juice and jelly babies. 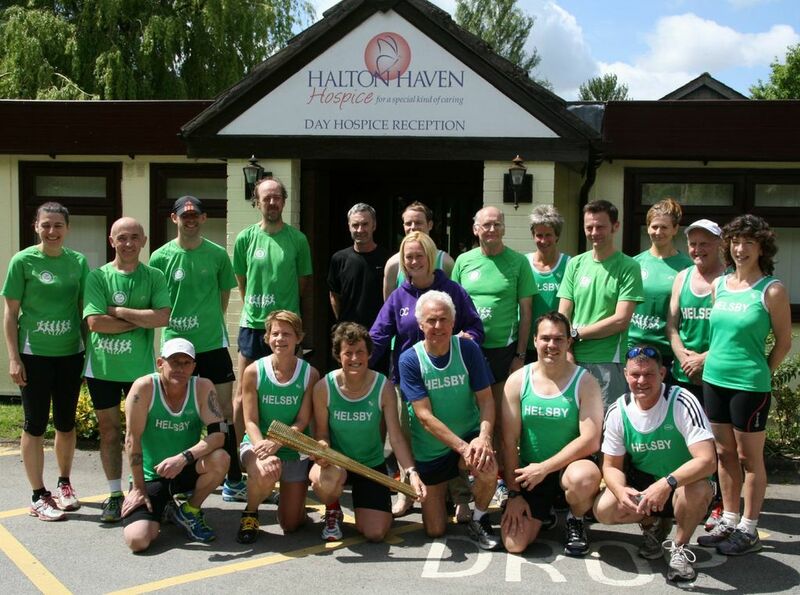 We continued on familiar ground through Frodsham and out the other side towards Runcorn, with just a final miserable hill at 13 miles between ourselves and our final destination at Halton Haven …they all seem big after 2 hours running! 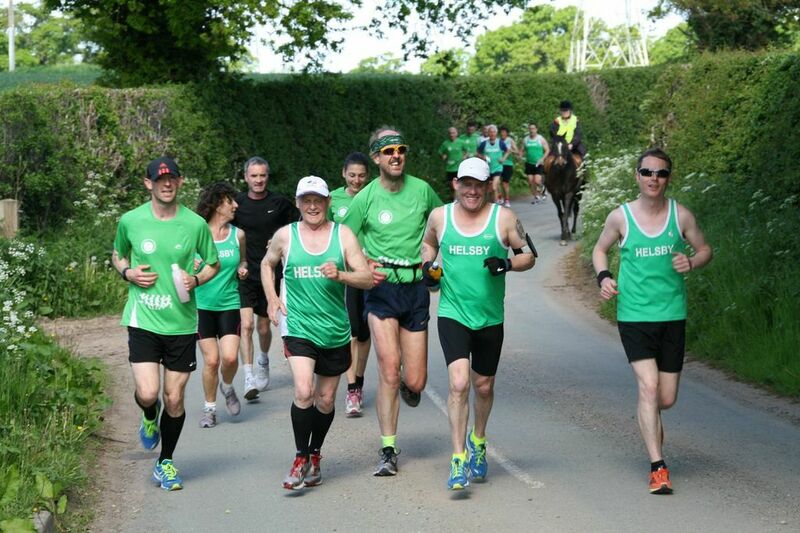 Thanks to the 20 or so club stalwarts for turning out on Sunday morning for the Hospice Half, and for our drivers, photographers and juice providers. 14.6 miles all in, so a Long Half really! Many thanks again to our suppliers, our race entrants and our supporters for making it possible and for the two hospices for looking after us so well. If you’re looking to do a bit of fundraising yourself we can’t think of a finer cause.